In order for me to create a pair of big eyes without much effort, I've decided to just emphasize my make up with mascara. This is where the Big Eyes Mascara from Maybelline comes in. 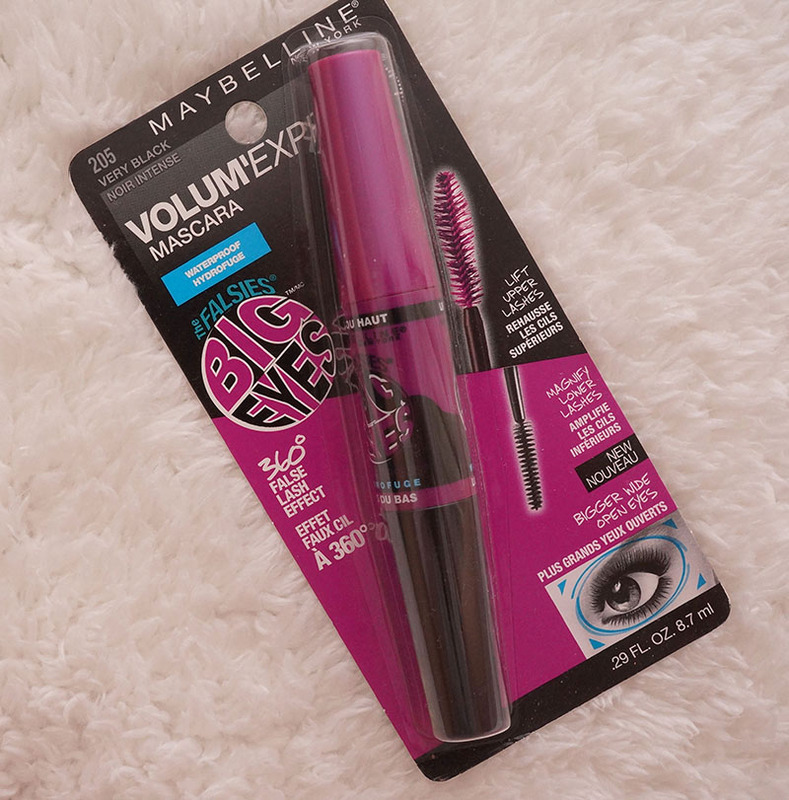 It is the first dual-ended brush from Maybelline that helps to achieve a pair of bigger eyes. 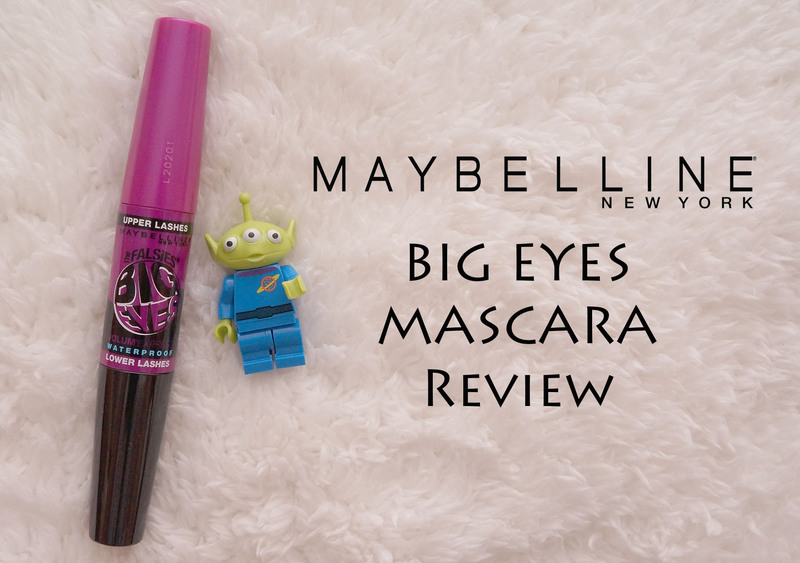 The formula from the mascara will volumize the lashes and achieve a look with false lashes on. Here is the design cover for the packaging. Basically all the need information is written there, with the description on the big and small brushes. 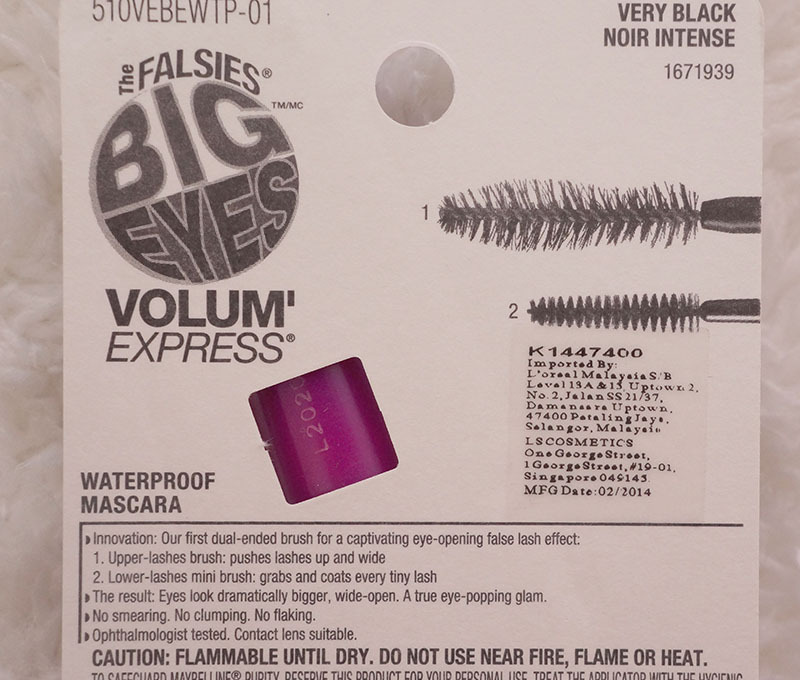 Here's the description of the Big Eyes Mascara on the back of the packaging. It says it is in a very black color with waterproof feature. It is also said to be the first dual-ended brush that will give a flash lash effect. It is good to see they included the design of the brush on the packaging too. Well, I don't know about the rest but I will tend to choose the type of brushes for my lashes as I know which one is best suited for my lashes. Introducing you the big brush. As the name says it all, the big brush is big... It is a twisted multidimensional brush that helps to volumize the top lashes. Applying the first coat will immediately see a volumize result. To be frank, the design of the big brush is not elegant because it is designed in a way to cover the lashes with mascara in every direction. The small brush on the other hand, is my favourite part of all. 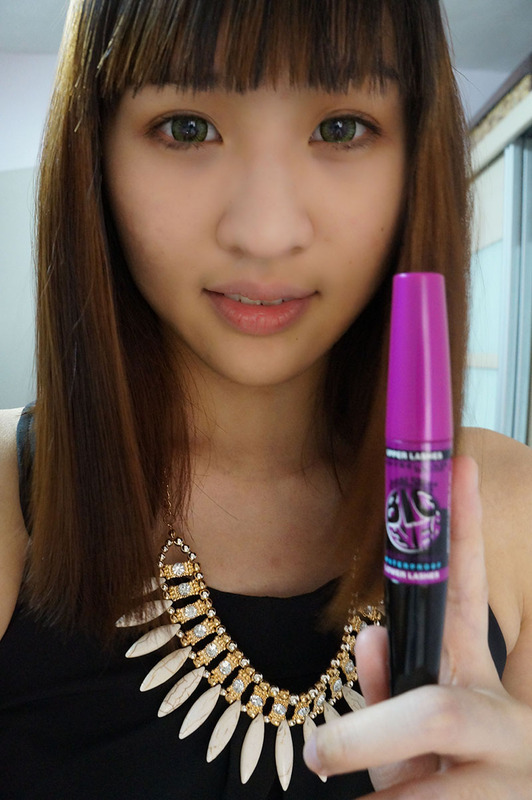 It has a swirl design that helps to put on the mascara on the inner and outer corner of the lashes. The small brush does the job what the big brush cannot do. The small brush also can be used to put on the mascara on the lower lashes. The formula also helps to volumize the lower lashes to achieve a bigger eyes effect. Can you see the volumize lower lashes on the right eyes? That is what I call a barbie doll lash: thick and long. 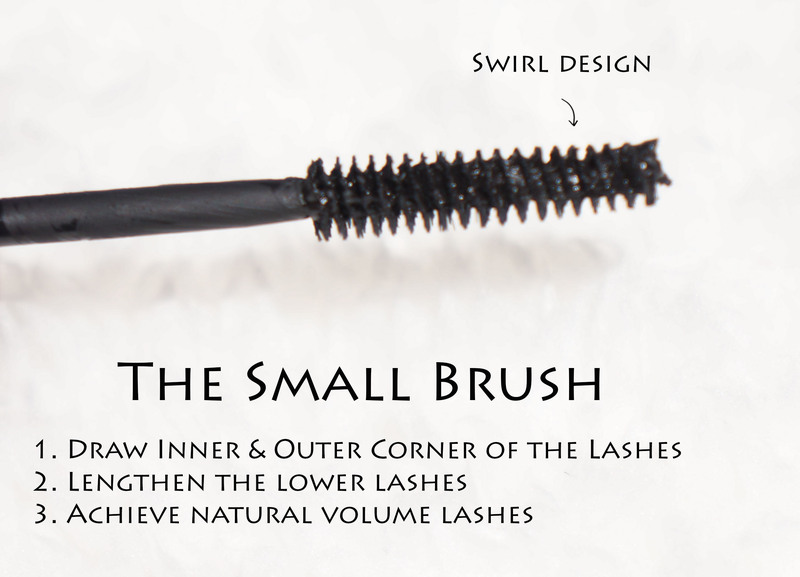 It's pretty easy to fan out the lashes with the small brush because of its swirl-designed brush. 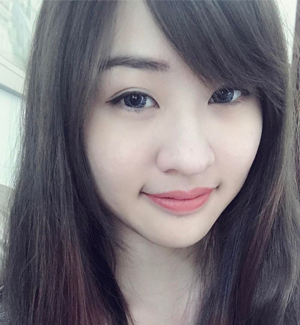 Here's an before and after applying the Big Eyes Mascara. 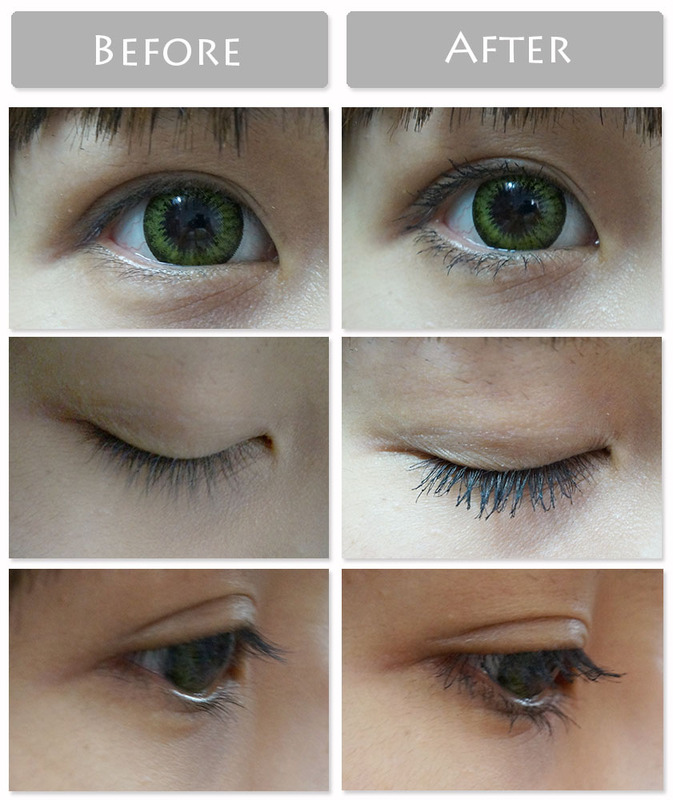 You can clearly see the difference of my lashes after putting on the mascara. My lashes are thicker and curler, giving an instant bigger eyes effect. I love the small brush as it helps to put on the mascara in details. It is pretty convenient to use small brush on the lower lashes as it lengthen and volumize my lower lashes. What I do not like about this mascara is the big brush because it tends to clump up my lashes after first coat. It doesn't really darken my eyelashes because my lashes are dark to begin with. Its waterproof but when it stays on my lashes for the whole day, it will start to smudge so it is not sebum resistant. But... I do love how my eyes looks bigger after applying the mascara. I did not put on any eyeliner but my overall feature looks more attractive after putting on the Big Eyes Mascara.